Bombardier Inc. is planning to go on a hiring spree in Montreal by adding about 1,000 people in the coming months as part of the production ramp-up of its new Global 7000 business jets, according to a source. More details are expected to be disclosed Friday, said the source who didn’t want to be identified because he’s not at liberty to discuss the company’s plan. Bombardier spokesman Mark Masluch said the company will confirm its production and completion strategy for the jet at an event on Friday. “I can’t confirm any numbers right now but certainly the Global 7000 is going to be a key pillar of hiring for Bombardier business aircraft in Montreal,” Masluch said. Bombardier’s largest business aircraft is slated to enter into service late next year. Chief executive Alain Bellemare told an investor conference Tuesday that the new plane is going to be the best business jet on the market with the longest range and speed. “The demand has been very strong. We’re fully booked until 2021, so very good customer response,” he told the Goldman Sachs Industrials Conference in Boston. Bellemare said the company (TSX:BBD.B) has worked hard to streamline the business and boost margins in the face of softer demand since the financial crisis. It has reduced the production rate of its existing aircraft while focusing on the Global 7000. “We took a lot of action to strengthen our business aircraft franchise and that is absolutely totally core to us,” he added. 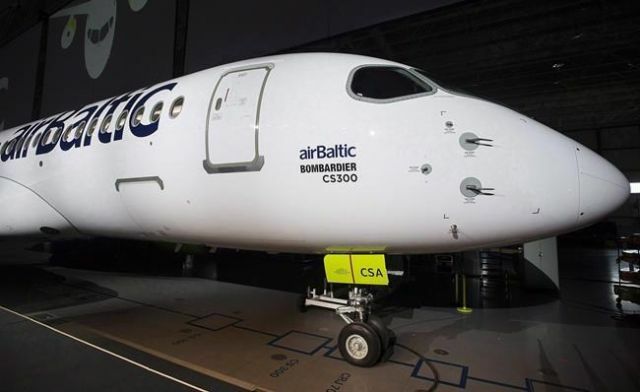 The federal government loaned Bombardier $372.5 million in February, largely to complete development of the new plane which has a list price of US$72 million. The hiring comes after the Montreal transportation company conducted mass layoffs since 2015 as part of its five-year turnaround plan to regain its financial footing. It eliminated 14,500 positions around the world in the aerospace and railway divisions. Bombardier’s hiring for the Global plane isn’t surprising but is a positive sign for the company that has sold a majority stake of its C Series commercial jet to Airbus to solidify the program that faces a trade challenge from Boeing.